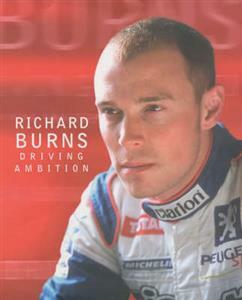 Richard Burns' career has been a series of "firsts" - 1993 youngest winner in British Championship history, 1998 first Englishman ever to win an overseas World Rally Championship race, 2000 first in the Greek, Australian and Great Britain rallies; first driver ever to win the British Rally three times in a row. In 2001 he became the first English driver to win the World Rally Championship, an outstanding achievement for a man who is only 30 years old. This book is a celebration in his own words and pictures of an extraordinary natural talent honed to perfection through years of gruelling training and competition throughout the world. There are chapters on his early life - his first experience behind the wheel was at the age of eight - plus a behind the scenes look at rallying, one of Britain's fastest growing spectator sports. The book covers the role of the co-driver, what it's like behind the wheel of a rally car and all sorts of technical information about the cars to delight the enthusiast.